Technical Guide to Printing from Momento Print . . .
We realise that sometimes supplying your Artwork in the correct, high-resolution digital formats required for successful printing, can be a confusing process. That’s exactly why we have a number of “Easy Help” (see below) links on every page of our on-line site at momentoprint.com . But we also NOW have a downloadable PDF file jam-packed with Technical tips and explanations on everything you need to know about preparing your artwork for printing. Just click on the cover image below to open and download our 16 page help-guide file. The guide features sections on every aspect of printing and print production. From standard Paper and Document sizes, File formats, Inks and Colour issues and Specialist options for Booklets, Banners, Envelopes and Folders. There is also a page explaining our “Re-ordering Made Easy” function for requesting repeat orders of your previously printed work. And don’t forget out “Easy Help” (see below) icons placed throughout our on-line ordering pages. 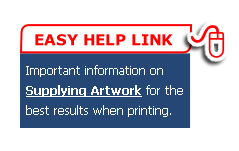 Clicking on the link will direct you back to our “Supplying Artwork” pages with helpful illustrations and prompts explaining everything you need to know to create print-ready digital artwork files. But don’t despair if your computer software, or Artwork skills, mean you are unable to supply digital Artwork in the correct, print-ready, format for successful, high-resolution, printing. We can convert, or create your project completely from scratch to allow you the time, and peace-of-mind, to get-on with what you do best, and leave the difficult bits to us. Posted on November 22, 2018, in Cheapest Printing Online, Leaflets Printing, Printed Invitations, Printers in North London, Urgent Business Cards Same Day, Wedding Stationery Printing and tagged Business Cards Same Day, Cheap leaflets printed, Cheapest Printing Online, cheapestprintonline, Ebook design and publishing, Flyers, Folded Brochures, Graphic Design, Leaflets, London Printers, Luxury Matt Laminated Business Cards, Postcards, Printed Invitations, Printers in Crouch End, Printers in North London, Urgent Business Cards, Wedding Stationery. Bookmark the permalink. Leave a comment.